UBC has added edX to the "evolving ecosystem of learning technology platforms, tools and applications on campus" (see UBC edX Partnership). This provides edX.org as a platform for new UBC MOOCs. It also supports a platform called Edge that can be used for regular UBC courses. Edge can be used to provide a blended learning experience for campus-based courses, it can also be used to support UBC online and distance courses. Both edX and Edge provide a course authoring tool called Studio. Both edX.org and edge.edx.org run the open source edx platform, so the two systems provide the same functionality, the only differences are in terms of special MOOC support on edx.org. So the open source community that is contributing to the evolution of edx.org is also contributing to the evolution of the system we are able to use at UBC. Edge has a simple and flexible interface for supporting local learning communities, linking to external learning communities. Forum posts may be pinned, filtered, and followed. Using the language of social media simplifies the contribution process for learners. Forums may be administered by Community TAs. Wikis provide a space for student generated learning. Compatible with Google Hangouts, and other social media to enhance student collaboration as needed. Supports both inbound communications (wikis and discussion boards) and outbound communications (announcements and email). 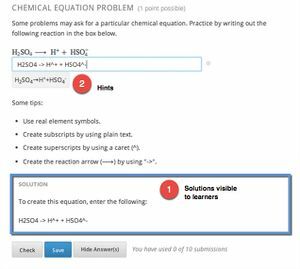 Publish a variety of learning materials to an Edge course, including video, text pages in rich text edit mode, and align these with problem sets, quizzes, and online discussions. Develop learning sequences that allow you to share videos, media or text with the learners and step them through an interactive learning pathway. Learners can reinforce their understanding of content by completing short assessments and tasks after each video or media element. Students can go through in a sequence or in their own order. Link to e-textbooks and other external sources. Support for different problem types: multiple choice, numeric input, math expressions, drag-and-drop and advanced types including circuit builders, custom code evaluators, and problems with adaptive hints. This short video will give you a sense of what a course on edX looks like from the perspective of a learner. You'll see how a course is organized and get a sense of the features available in the platform. Explore an edX course on the use of Edge to blend educational technology with traditional classroom learning to improve educational outcomes. Q1. What is the difference between edX and Edge? https://edge.edx.org (referred to as "edX Edge" or just "Edge"), authored through https://studio.edge.edx.org. These are completely separate domains, with separate resources, databases, servers, login credentials, and authoring platforms. The difference between the domains is that edX is the home for the MOOCs and Professional Education courses. Edge is used by universities to provide material for their on-campus or other traditional students. We can allow any member of the UBC community to experiment with the edX functionality on Edge. Only approved MOOC teams do their development on edX.org. Edge does not have a catalog page. Edge is "security-by-obscurity": there is no discovery process for courses. Students will have to know your course URL to register for it. Excerpt from: What is the difference between edX and Edge? Q2. Is edX a replacement for Connect (Blackboard Learn 9.1)? edX is not intended to replace Connect, certainly not in the near term and possibly not ever. Instead edX is simply one platform integrated into an evolving ecosystem of learning technology platforms, tools and applications on campus. Excerpt from: UBC edX Partnership. At this point, edX lacks some core functionality required to be a complete LMS, although UBC and the other edX partner schools are actively working to enhance the platform. The edX and Edge environments may look very different in the future and now is an exciting time to experiment in that space. Q3. I want to push the envelope of what an online environment can do. What kind of support can I expect with Edge? Q4. What are the features/possibilities for supporting learner engagement in Edge? self assessments and problem sets allowing for multiple attempts and instant feedback. wide range of options for exercises and tools to support learning goals. 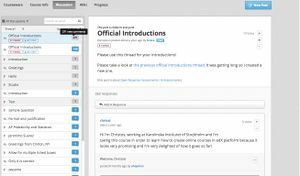 discussions and wiki spaces for sharing content and resources with each other. Students track their progress through the course using a visual graphic interface and media can be easily embedded in the course to engage learners and leverage online content. The course interface is clean and includes a slider navigation interface that provides visibility to students on progress through units. Q5. I have heard Edge is a cloud-based platform. What does this mean to me? In order to be compliant with FIPPA, UBC does not pass student personal identity information to Edge. However, CWL authentication is available. When students login using their CWL, a token identifier is passed to edX and associated to a student's edX account. UBC are able to query this token and return the edX details. UBC have created an additional application that maps the edX identity back to UBC credentials. For more information, see the Resources section below. 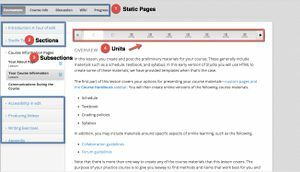 docs.edx.org: Up to date documentation to help you do what you need to do when building your course. How to Create an EdX Course: EdX 101 This is an example of a course built with Studio. It is a self-paced walk through of planning, building, and running your own online course. edX Demo course is a fun and interactive course designed to help students explore the edX learning experience. We recommend that you become familiar with the student’s experience of an edX course before you begin building your first course. Blended Learning with edX is a course from edX that covers the use of edX to blend educational technology with traditional classroom learning to improve educational outcomes. Perfect for instructors or institutional leadership interested in creating blended learning experiences with edX. Building and Running an edX Course. 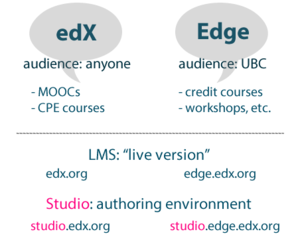 edX Edge Studio Sessions -These sessions are geared towards those in the UBC Community using edX in online or blended learning. Attendees will leave the studio session with helpful resources, best practices, and practical suggestions for implementing this platform. Slides and Handouts from the March 2015 UBC edX Workshop: GitHub documentation on all aspects of setting up and running your course.